So you have a new puppy? The Holidays are upon us and you may have committed to a new puppy. 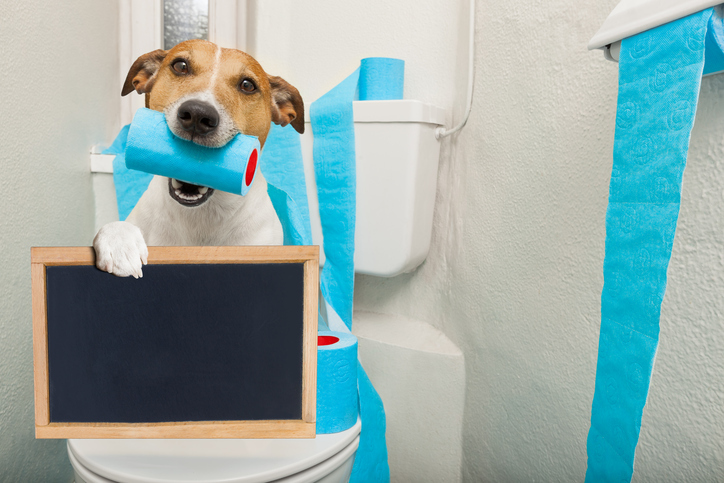 Where to start… Potty training will be one of the first chores on your list. Soiling in the house is one of the top reasons that dogs wind up in a shelter. A few simple steps can help you avoid unwanted behavior. All puppies train at a different rate, but following these steps can help you achieve your goals in about 8 weeks. First… Young puppies should never be left unattended. Puppies have an extremely small bladder and urinate frequently so you will most likely be taking several trips outside. Showing your puppy where to eliminate is also an absolutely necessary habit forming behavior. Each time you take your puppy outside, using the same area will establish your goal. A common mistake made by owners is to put the puppy outside unattended. If unattended outside, you will never know if your puppy has eliminated successfully. Young puppies will usually need to take a potty break approximately every hour while awake. If your puppy happens to take in a large amount of water, you will need to give them a chance to eliminate. Puppies also need to relieve themselves upon first waking. Catching the wanted behavior is very important. When your puppy urinates and/or eliminates you need to reinforce the behavior with a hearty “good potty”!!!! And remember… Patience is your friend. My preference is to crate train along with potty training (crate training article to follow…). Should your puppy make a mistake, you should give them an “OOOOOPS!” and get them outside to the designated potty area. The old “rule of thumb” of rubbing your puppy’s nose in their mistake or spanking is actually detrimental. The next step is to put your puppy on a feeding schedule. Young puppies are often fed three times a day (important for nutrition). Timing is key to keep track of when you can expect your puppy to eliminate. The general time frame of elimination after feeding is approximately 15 minutes, but this varies from dog to dog and you will be able to establish your dog’s time frame usually within a couple of days. Another recommendation is to withhold water 2 hours before bed time. This may not completely stop a 1:00 or 2:00 AM potty request, but it will help. Should your puppy begin crying, it’s time to head outside. Some puppies are home while Mom & Dad work. For these circumstances, the recommendation is to keep the puppy in an x-pen (8 X 8 or 10 X 10 is recommended) with the crate door left open and potty pads set at the furthest distance from the crate. This teaches the puppy to eliminate away from where they are sleeping and reinforce the behavior of keeping their den clean. And, when Mom & Dad are home, going to the designated outside potty area resumes. Potty training is one of the easiest but most time consuming behaviors. Stay with it!